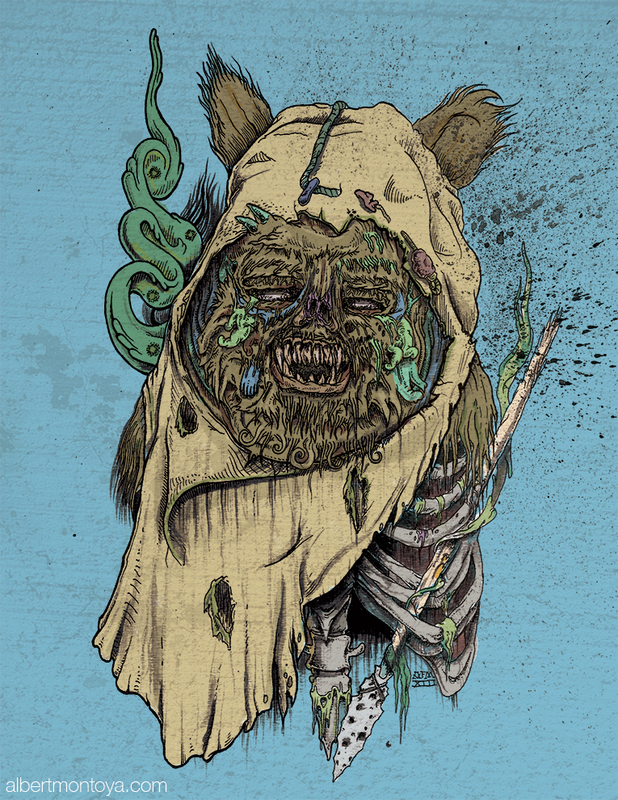 Inspired by my sons love for Star Wars. 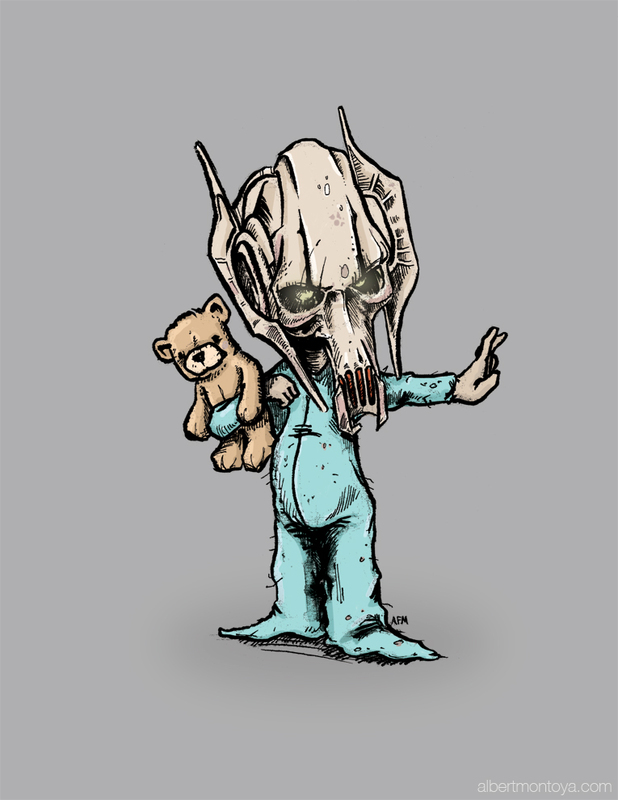 An illustration of a little boy wearing a General Grievous mask. 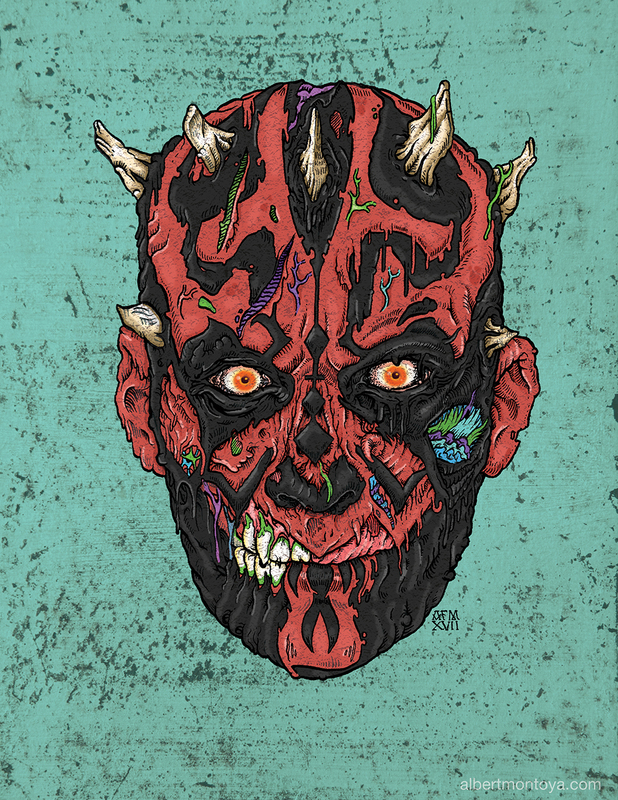 It was sketched with pen & ink, and colored digitally. 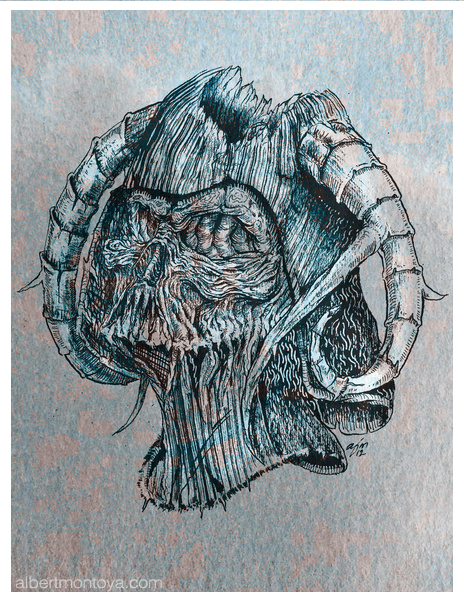 Prints are available here! 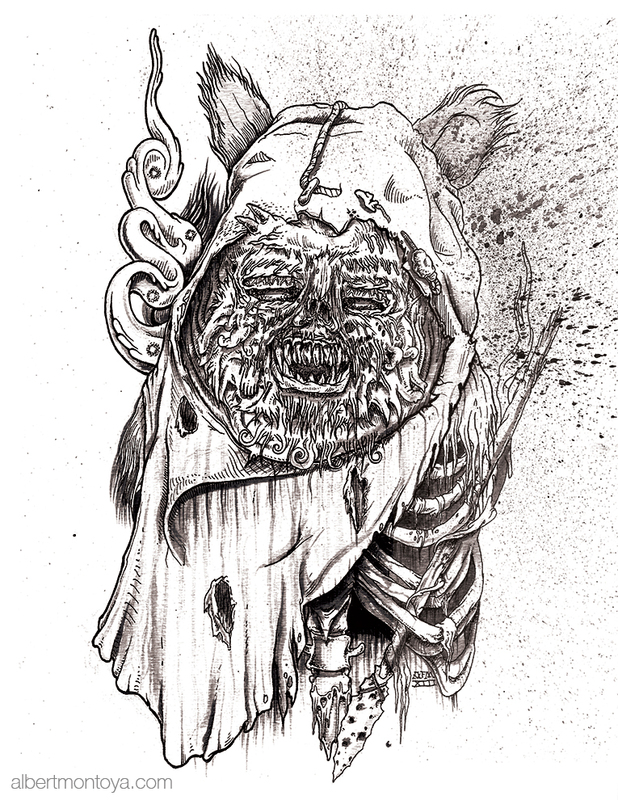 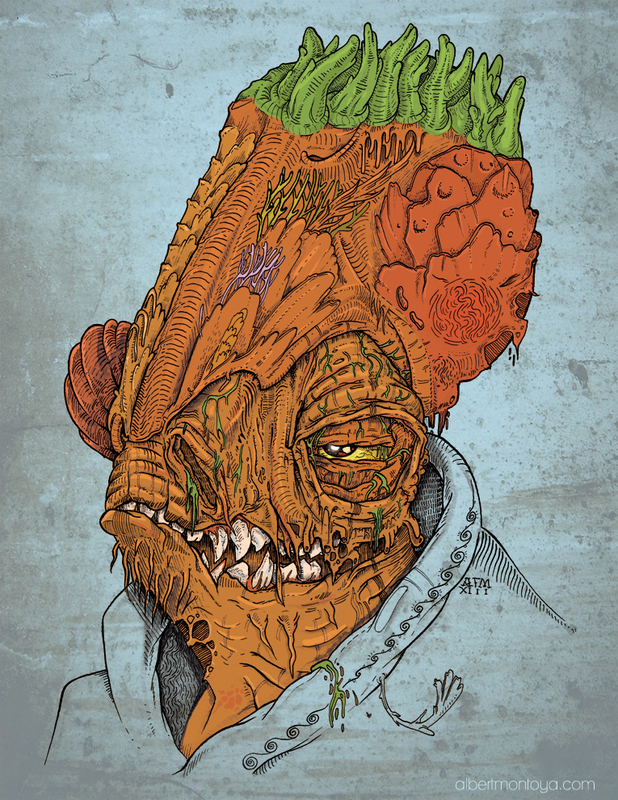 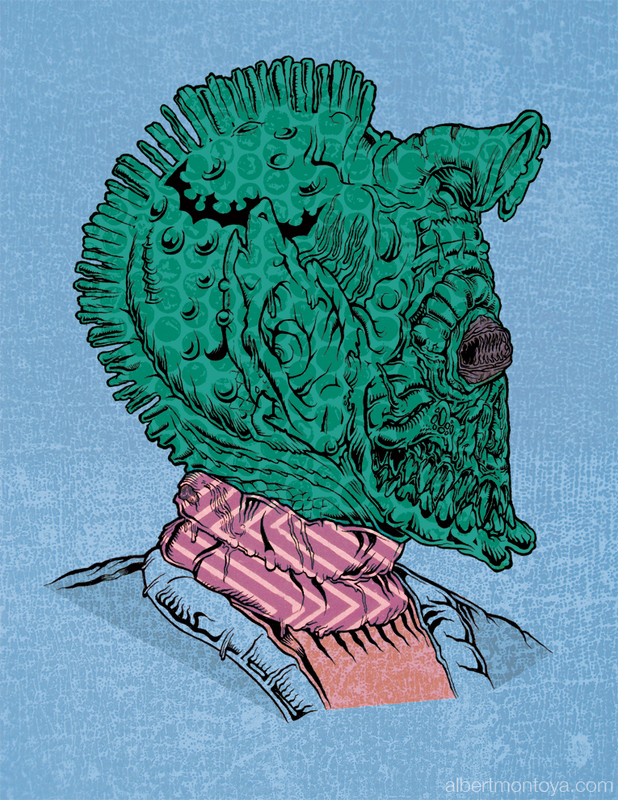 Zombie Admiral Ackbar as “It’s a trap!” – Mixed media illustration, 2013, art prints available here! 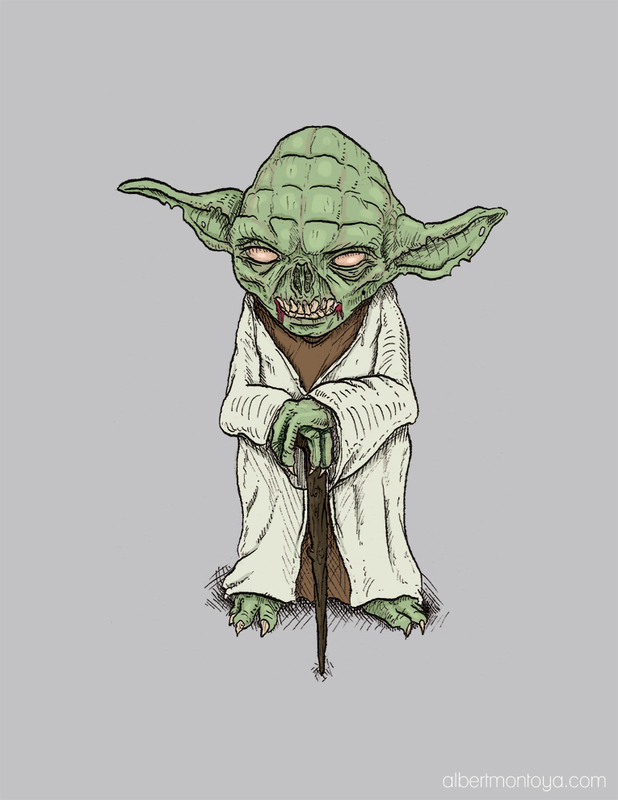 Continue reading It’s a trap! 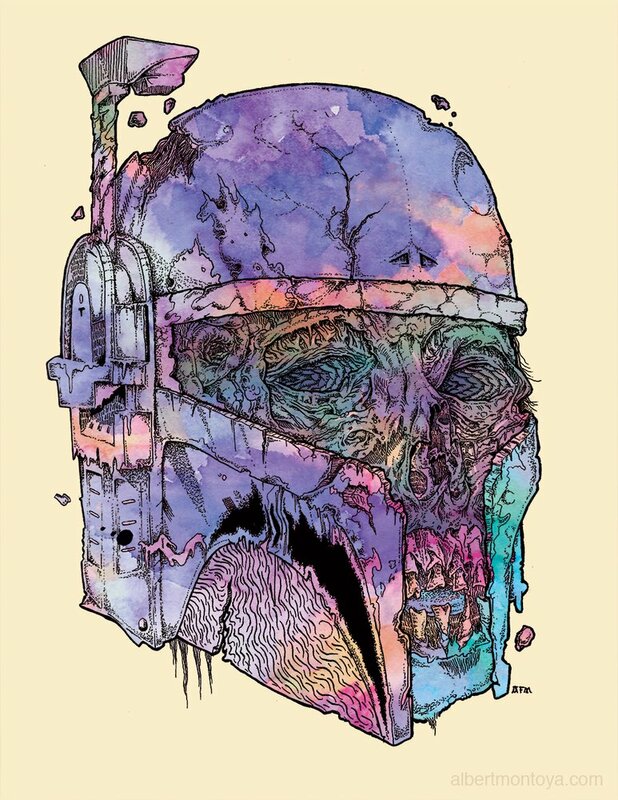 As a direct reaction to the Galactic Empire, the Rebellion warred against the Imperial Fleet throughout the Star Wars galaxy to restore the ideals of the Old Republic as the Zombie Alliance. 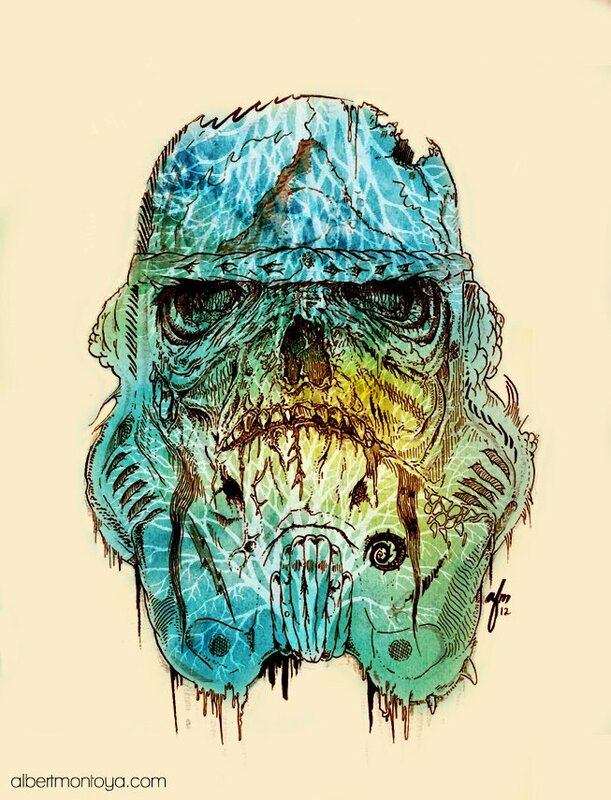 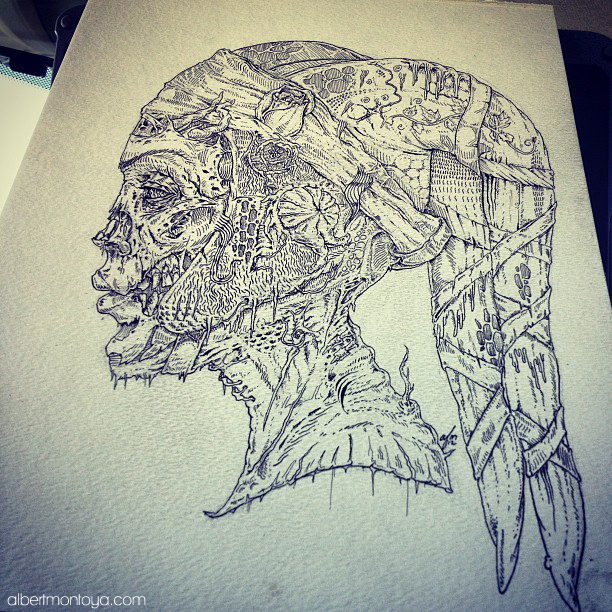 Support the Resistance by purchasing an art print or two, at my online shop here: http://albertmontoya.bigcartel.com/product/print-zombie-alliance. 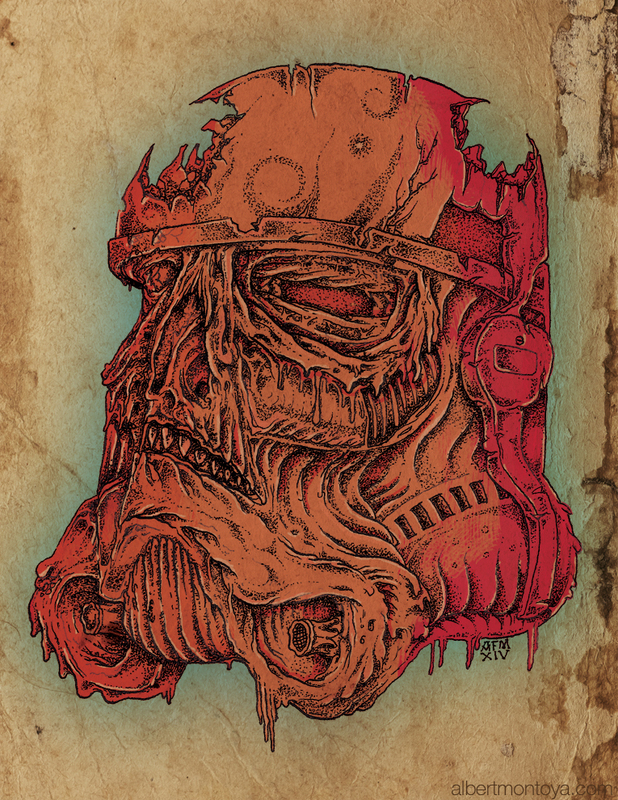 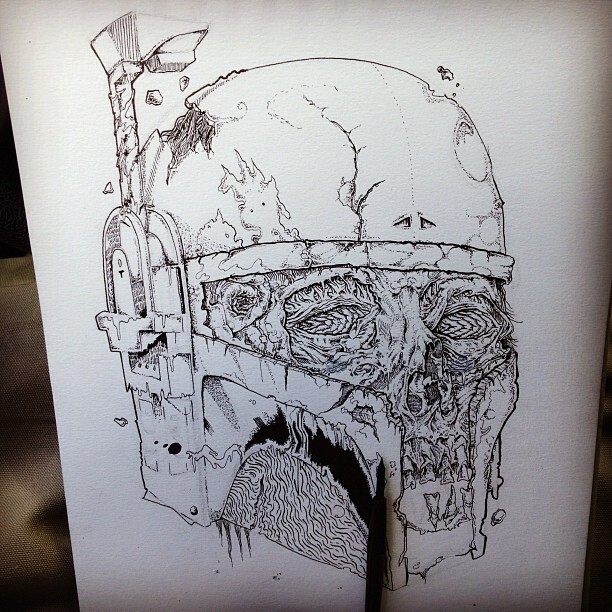 “Vader Zombie” – A zombified version of Star War’s Darth Vader. 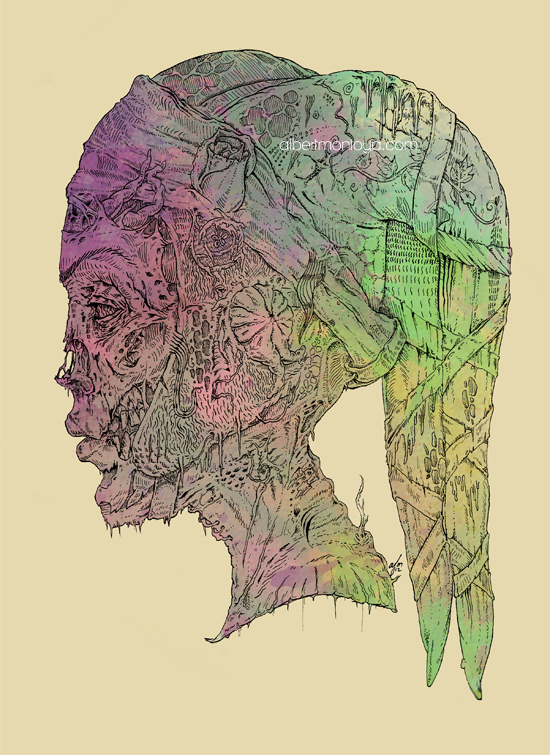 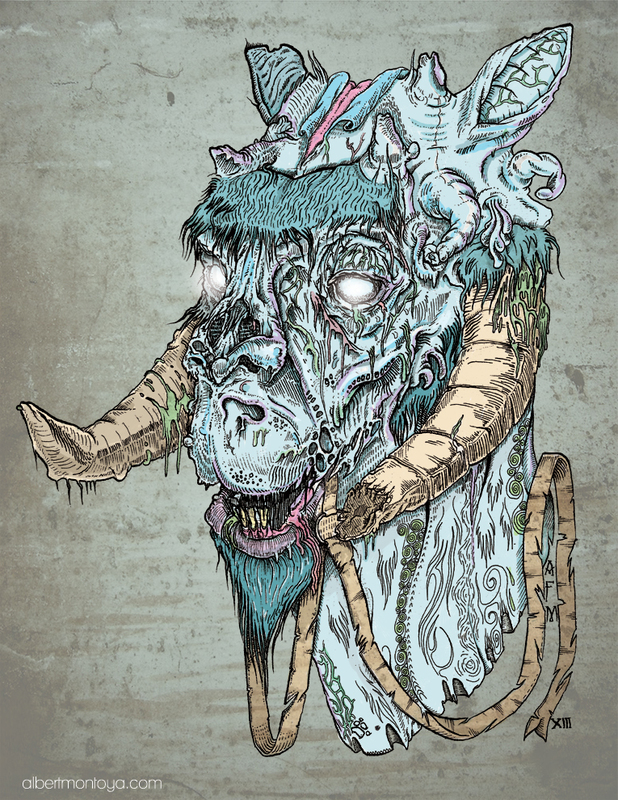 Mixed media illustration, 2012. 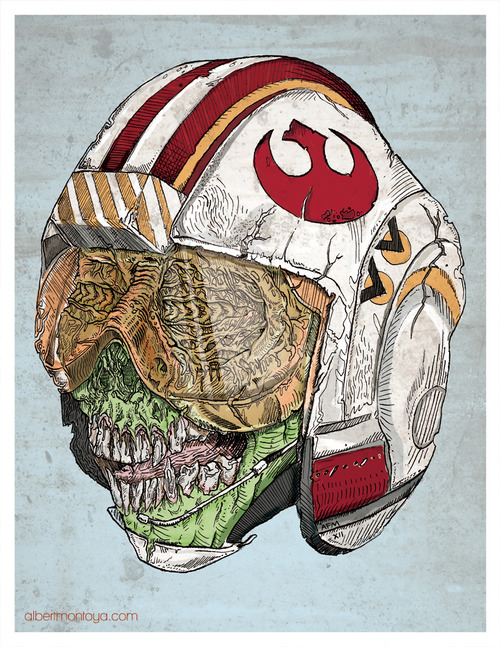 Click here to purchase Star Wars prints by AFM.